The Rwanda People's Party statement on the successful conclusion of the negotiations on the Iran Nuclear Deal. An extraordinary and even historic agreement was reached on April 2, 2015. There was a successful conclusion to the negotiations and an Extraordinary Agreement has been reached between Iran and the P5+1 Block. This long awaited agreement will allow Iran and other nations to work towards Iran's peaceful nuclear development and is a step towards furthering world peace. Moreover, this agreement will also underline the terms upon which nations can develop their nuclear programs, in the future. But above all, the agreement between Iran and 5+1 Block ultimately has avoided regional or possibly a Third World War that could have devastating consequences on the world and mankind in general. The Rwanda People's Party wishes to give its heartiest felicitations to all the member countries and their representatives on reaching such a truly historic agreement. These negotiations were a result of The Geneva Interim Agreement or officially, The Joint Plan of Action, a pact signed between Iran and the P5+1 Block in Geneva, Switzerland on 24 November 2013. As the negotiations regarding the pact continued, it was evident that an appropriate and noteworthy agreement would be reached by the countries, involved in the negotiations. The RPP, on behalf of the Rwandan nation, welcomes the fact that such a difficult agreement was reached in such an organised and smooth manner. Moreover, The RPP wishes to state that it fully supported this agreement. The RPP will always support such constructive and useful agreements that contribute to the well-being and development of our world and help to bring about a new and stable global order. We wish to congratulate the resilience of the US President Barack Obama, the Russian President Vladimir Vladimirovich Putin and their counterpart, the Iranian President Hassan Rouhani, and their negotiators on their role in these negotiations and all those who contributed to the successful conclusion of these Extraordinary and Unique negations of our times. It was only due to their relentless efforts that such a vital agreement could be reached after years of tensions between Iran and United States that began with the Iranian Revolution in 1979.
positive results of the talks. Eventually, Iran’s banking industry will also immensely benefit from the release of billions of US dollars in assets that were frozen by the world’s superpowers. Iran because of this agreement will be allowed to participate fully in the World Economy. We call upon the UNSC to immediately approve this Extraordinary Landmark Agreement and request any group of and organizations opposing the agreement, especially the American Republican Party, to support the agreement, because it improves international relations in the Middle East and the wider world. Agreement that resulted in Northern Ireland’s Good Friday Agreement, on Friday 10 April 1998. Negotiated settlements are the only way we can move our country forward. A task that is only possible with the cooperation of all opposition parties. The RPP will and has worked towards a better world, especially a better Rwanda. To the extent, I would like to use the opportunity, to call the Rwanda government to become engaged in peace talks with members of the opposition, based on the principles laid into the Rwanda Roadmap to Peace, which the RPP has proposed to President Kagame in April and August of 2011. We also invite the international community, to support the Rwandan Opposition calls for a direct negation with the Rwanda government, so to lay new Roadmap for Rwanda and its people for generations to come. We personally, address our call to. President Yoweli Museveni of Uganda, Present Uhuru Kenyatta of Kenya, President Denis Sassou Nguesso of the Rep.
Congo, President Recep Tayyip Erdogan of Turkey, President Barack Obama of USA, President Tony Tan Keng Yam of the Rep. of Singapore, President Park Geun-hye of the Rep. of Korea, Prime Minister David Cameron of the UK, Chancellor Angela Markel of German, the former US President Bill Clinton, former UK Prime Minister Tony Blair, Rev. Rick Warren, Howard G.
Buffett, and all friends of Rwanda who have any influence on President Kagame and his regime. We believe, that ultimately, continuity and progress on social and economic development and democracy is utterly dependent on how Rwandans come to agree to live together in peace. This is why a dialogue among Rwandan political warring factions is not only just essential but paramount to Rwanda’s political, economic and social development. In the Twentieth-First Century, where people are more connected, where the world is now a ‘global village’ and where technology has broken down so many barriers, discussion and negotiated settlements are the way forward over any given differences, however big or small they may be. The old ways are gone and no more will the world tolerate violence and war to settle internal or regional conflicts. 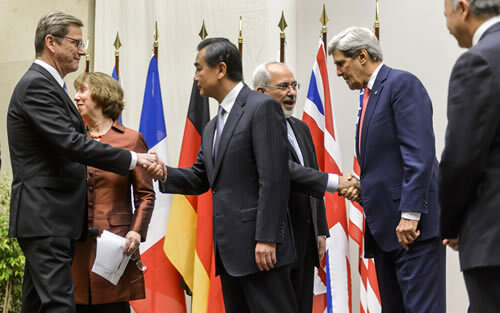 This is the lesson that we must all learn from the Iran Nuclear Agreement. To this extent, I would like to call upon the western powers to emulate the Iranian Nuclear Agreement and commit themselves exclusively to negotiations and take the decision to end their brutal bombing campaign against the people of Syria and press. President Kagame for talks with his fellow Rwandans. I invite them look into the flowing tears of the Syrian people that have been subjected to the terrors of bombs’ falling like hail. We urge the west to engage in dialogue with President Assad of Syria, so as to end the endless and senseless suffering and misery of the Syrian People. Like the Iranian Nuclear Agreement, I and my party believe that no lasting peace in Syria can be achieved without regard for the aspirations of the Syria people. May the Holly might God Bless you, your country and people.